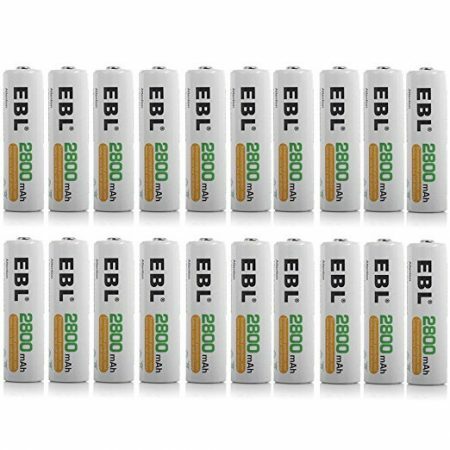 These NiMH AA rechargeable batteries come in 20 packs, with high capacity 2800mAh for long lasting power. 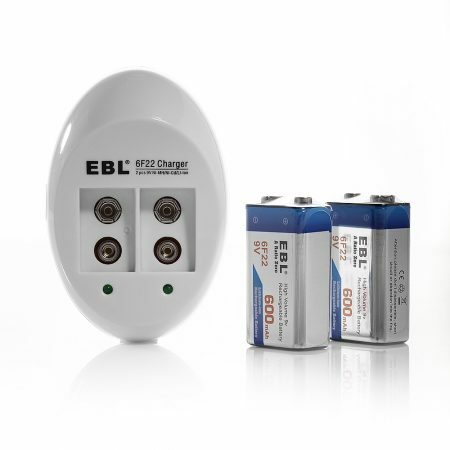 Batteries are precharged fully and ready to be used when they arrive you. 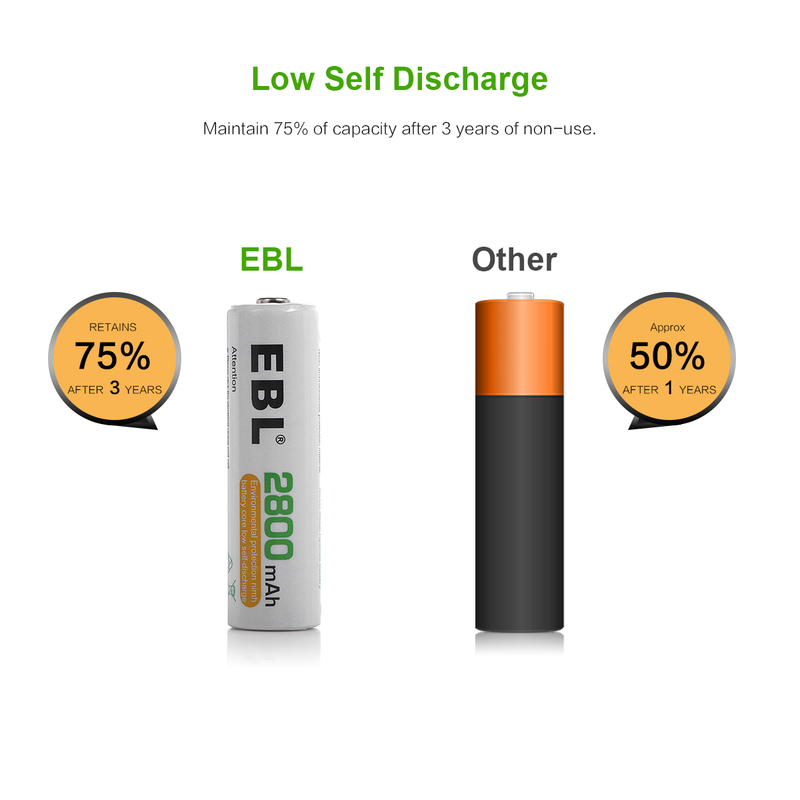 The batteries feature low self discharge as they can keep about 75% battery capacity when they are not in use for 3 years. 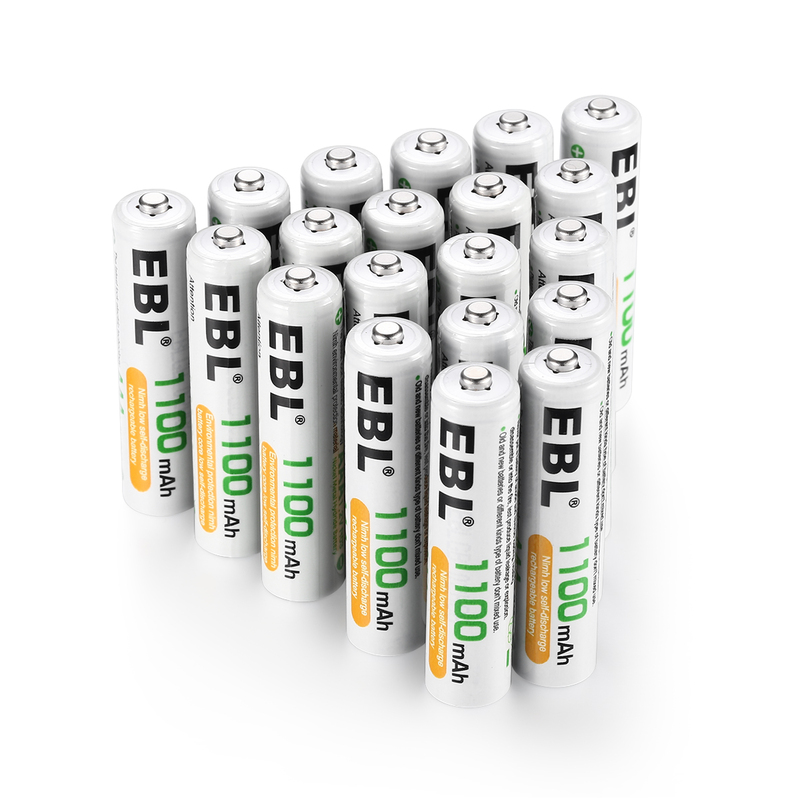 Impressive battery lifepsan: these batteries can recharged up to 1200 times. 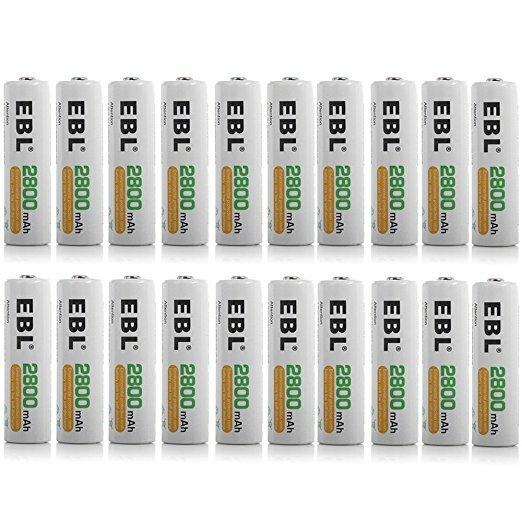 These 20-pack 2800mAh AA batteries are made of most reliable material and quality NiMH cells. 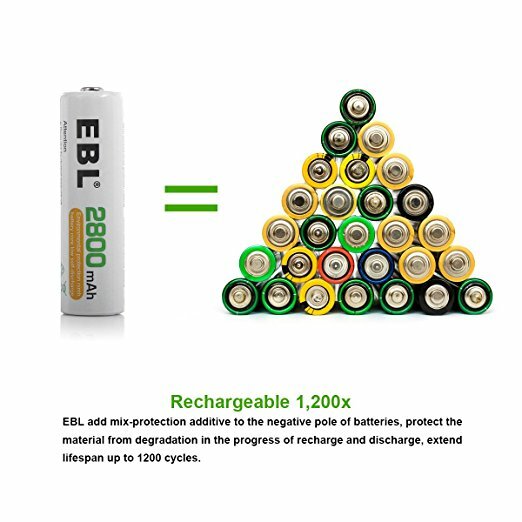 EBL provides environmentally friendly rechargeable batteries that can be recharged and used safely. 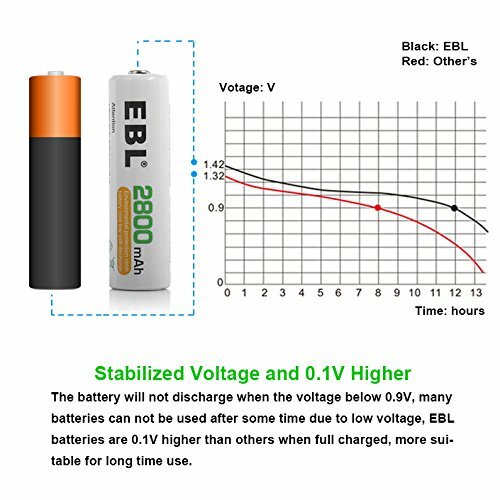 The batteries have stable power and will last for years. 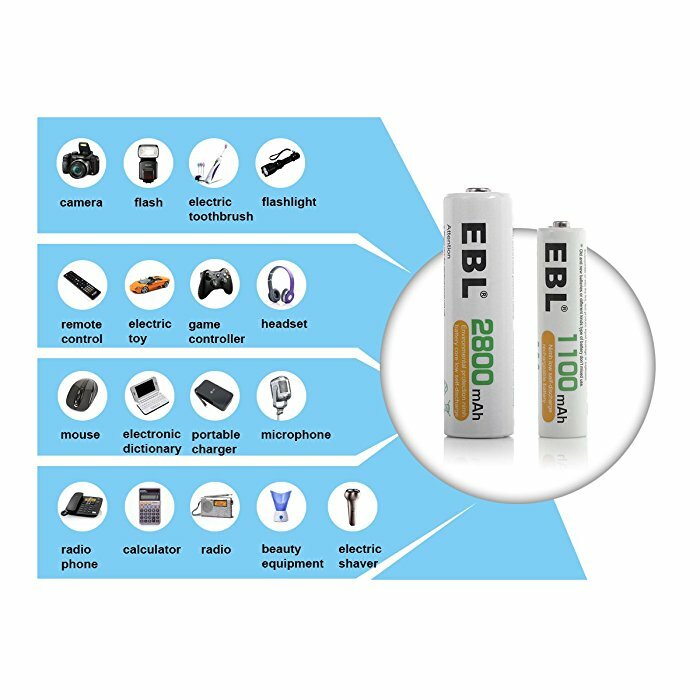 EBL AA batteries will be widely used for a large number of high drain devices, including electronic toys, flashlights, music players, remote controllers, RC toys, telephones and more other household devices. 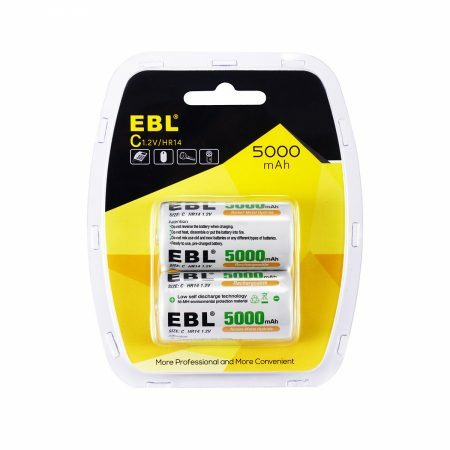 EBL 2800mAh AA batteries are typical high capacity rechargeable AA batteries on the market currently. 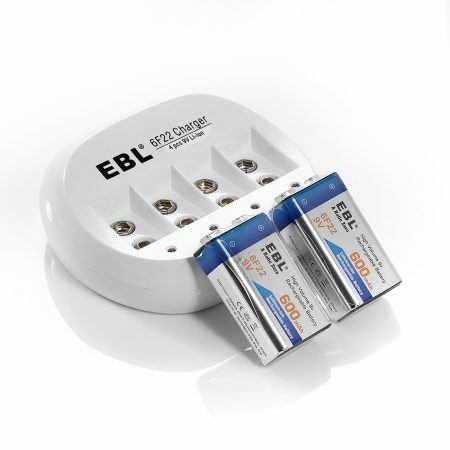 They have excellent performance in low self discharge, quick recharge, long battery life and up to 1200 charge cycles. 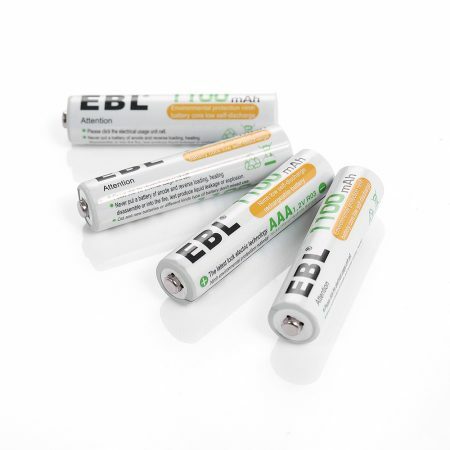 They are well made to be durable with a solid build that prevents battery leakage or other damage.